Bitcoin, the most trending currency in the digital world as of now. We all heard a lot about this new digital currency model Bitcoin and few of them already have those and the new ones who heard about it want to make one as their own. Isn’t it? So, do you want to buy a Bitcoin now? Then continue reading the article. 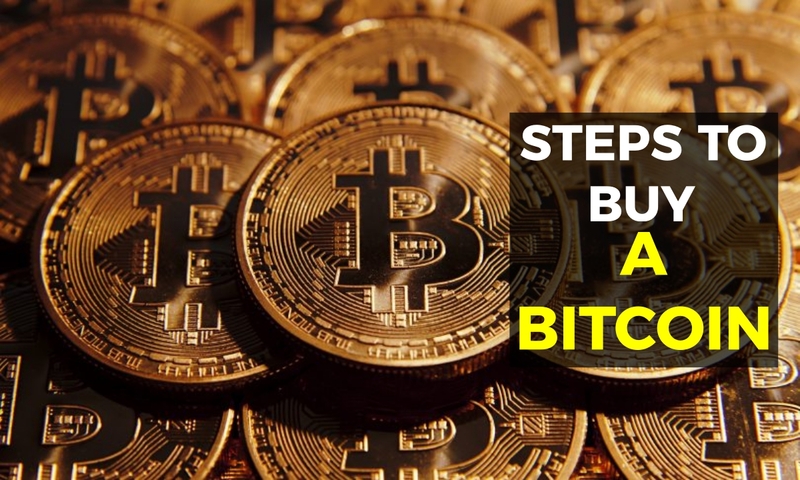 Well, if you want to buy a Bitcoin, you have to follow the following step-by-step guide. Bitcoin has been reaching record levels that have exceeded $ 17,000. Everyone seems to speak today of the most famous cryptocurrency and it is possible that you are considering in buying some bitcoins. The cryptocurrency has long ceased to be a mere tool of suspicious transactions to begin to be a form of payment. Now you can book a trip to agencies like Destinia or Expedia and pay it in bitcoins and even companies like Microsoft allow you to buy your products with this cryptocurrency in the United States. The first thing you should do to acquire bitcoins is to talk to your bank. Currently, the banking sector remains suspicious of the cryptocurrency and could have problems. In some countries, banks can give cancellation orders for bank accounts to companies related to this universe, so it is better to put it on notice. Download an app through which to buy bitcoins. When choosing the application for which you will acquire and manage your cryptocurrencies, make sure you choose the most reliable one. You have to allow access to private and financial data. Check if it is insured by any agency and also make sure you know what the collection fee is for each transaction you make. Coinbase is one of the most requested apps on Bitcoin (iOS, Android). An essential step when acquiring bitcoins is to verify the price at which the currency is at that moment. A good application or trading platform will show you the current price for a certain period of time, as well as fluctuation trends. Once you have decided to buy them you will be notified of the exact purchase price. When buying Bitcoins you should know that purchases through credit or debit card are immediate, while bank transfers, as usual, take a couple of days. Once you have purchased your cryptocurrencies what you can do with them is to invest, buy in companies that admit them or even transfer it to other people. The last simple step on how to manage your purchase of Bitcoins is to keep you constantly informed about the fluctuations of the digital currency market. Do not forget that although recently we are experiencing large increases, the cryptocurrency is characterized by high volatility and you could see your savings disappear if you are not alert. In short, with a little advice (and especially a certain foresight on your part to avoid falling into deception or crashes), it is relatively easy to buy Bitcoin. This is how you buy a bitcoin. If you have any queries regarding purchasing the Bitcoin, let us know them in the below comment section. We will get back to you as soon as possible to solve all your queries. Would you like to add any other important information to this story? Then write them to us through our contact us page and we will include them in this article in the next update. Are you interested to buy or invest in Bitcoins?